I got one of those Flint and Tinder 10 Year Hoodies forever ago.. I knew they’d been bought out and didn’t even have the color that I originally purchased my hoodie in BUT… the company that owns them now (Huckberry) still honors the 10 year warranty for repairs and mends that aren’t super egregious. 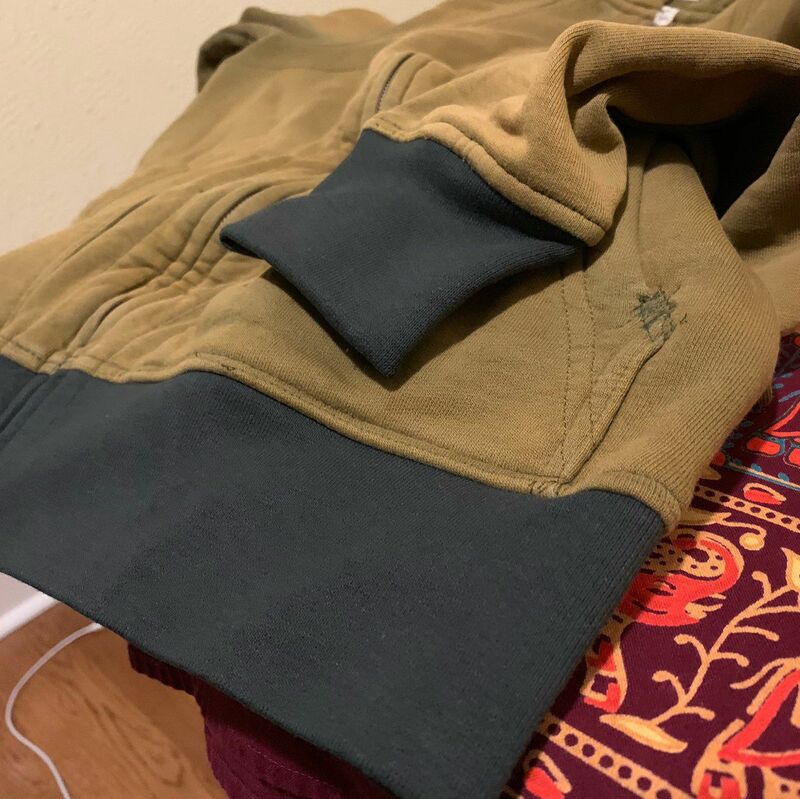 So, as an experiment out of genuine need, I sent my 5 year old forest green TYH in for some repairs, knowing (and expressing complete and utter disinterest) that some of the repairs/replacements would not match the colors of my original hoodie. Weeks later, what came back is kinda glorious! The repairs are top notch and the blown out cuff and waste band elastic replacements are pretty much what I expected. I’ve worn this hoodie to a ridiculous degree and I love that, somehow, after the KickStarter and everything, they found a company to honor the original warranty. All I paid was shipping!